Alder Hotel Uptown New Orleans gives birth to Ezra James Nyssen (1/15/19)-nicknamed “EZ Breesy” since he was born on Drew Brees’ birthday. 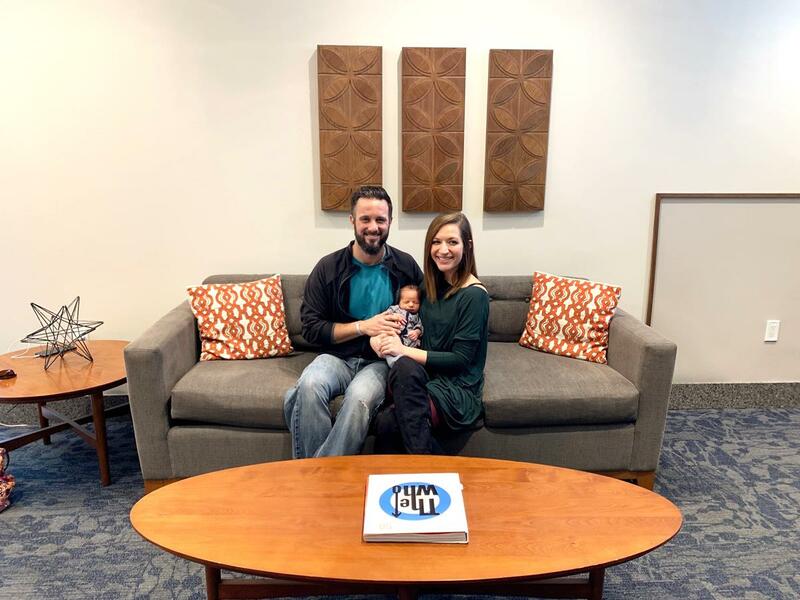 Alexis and Justin Nyssen live in Houma, LA and wanted to stay somewhere closer to Ochsner Baptist, where their doctor and midwives were located, as their due date approached. 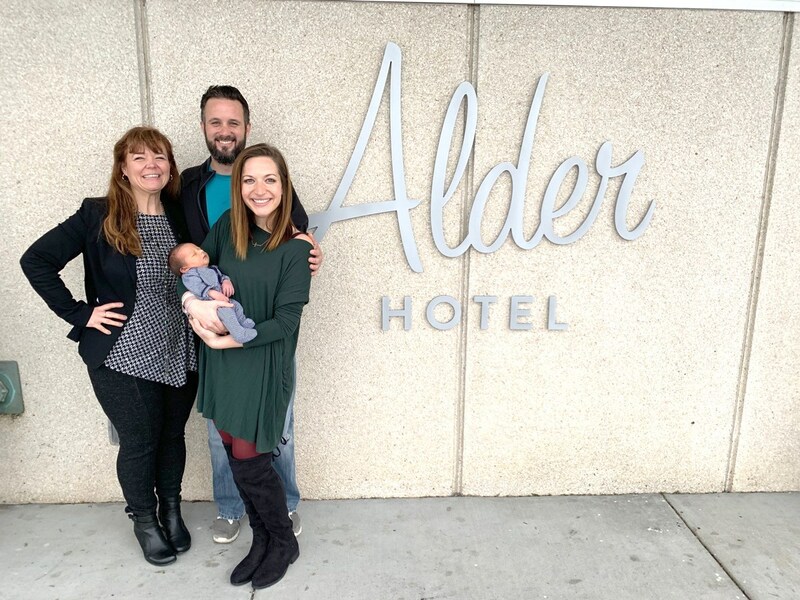 Alexis said, “I didn’t want to have a baby on the Interstate trying to get to the hospital!” So, the Alder Hotel Uptown was recommended to them by the hospital staff. They checked in on Monday night, and around 3 a.m. Alexis’s water broke and the labor pains started quickly. They knew the baby was coming—fast! Justin ran down to the parking lot to get the car to take Alexis to the hospital. He was barely gone 5 minutes, and when he returned to the room the baby was already coming! Three big pushes later—and baby Ezra was born! There was momentary panic, but as soon as “EZ” took his first breath they knew everything would be alright. Justin called 911 and then the midwives at Ochsner Baptist. One of the midwives ran over from the hospital with everything needed to take care of mommy and baby. EMS came shortly after, and both were taken to the hospital for precaution. They were released on Thursday with a happy and healthy bundle of joy. It wasn’t the birth they had planned for, but it certainly was “EZ”. They couldn’t be happier with how it all turned out. They were extremely thankful to all the Alder staff, Ochsner midwives and EMS that came to the rescue and look forward to returning to the Alder next time they’re in New Orleans! Shortly after returning home, here’s what Lexy had to say, “after returning home and with very minimal convincing are in the process of changing his name to Ezra James-Alder Nyssen to always remind us of the way we welcomed our sweet boy”. Pictured: Hotel General Manager Erin Boreros, dad Justin Nyssen, mom Alexis Clough—and, of course, baby Ezra!